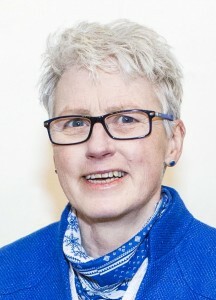 Professor Trish Greenhalgh is joint Module Co-ordinator for Knowledge Into Action (KIA). She is also Professor of Primary Care Health Sciences and co-Director of the Interdisciplinary Research In Health Sciences (IRIHS) unit at the University of Oxford. I wanted to be a doctor from age 3. I was a young academic at the time EBM was emerging as a new and exciting theme in academia. I recall a clinical case in which a young woman asked me whether she should keep taking her second-generation oral contraceptive or switch to a third-generation pill. EBM allowed me to answer her question far better than I could have done by clinical experience alone (though not eliminate the uncertainties). Small to medium sized trials with definitive results. Mega-trials usually mean the effect is small and there’s not much to choose between the two treatment arms! Being put on the spot by students and adult learners who take me outside the little world I’ve been living in. Do you have any regrets about becoming a doctor? Workshop on dancing your PhD. Analysing data alongside developing theory. If you weren’t a doctor/teacher, what would you be doing instead? Conscripts (people who have to be in the room to tick a box but who are not motivated to engage). Provide five mid-career fellowships for qualitative postdocs to pursue their own ideas. Thomas Kuhn: The Structure of Scientific Revolutions.